According to the Ubuntu 14.04 LTS release schedule, the next beta will be released on March 27th. After the Release Candidate (April 10th), the Ubuntu 14.04 final release will be available on April 17th. This simple tutorial is going to show you how to easily install Oracle Java (JDK) 6, 7, or 8 in Ubuntu 14.04 Trusty Tahr via PPA. There’s a Launchpad PPA (Personal Package Archive) maintained by webupd8.org, a popular Ubuntu Linux blog, which provides the most recent installers to automatically download and install Oracle Java JDK6 / JDK7 / JDK8 from oracle website. Note there are no actual Java files in this PPA. Press Ctrl+Alt+T on your keyboard to open a terminal window. When it opens, copy and paste the command below and hit enter. Input your user password when prompts and it will add the PPA repository into your system. Change the number 8 to 6 (or 7) in the code to install Java 6 (or 7). Also change number 8 to the Java version you want. Virtualbox 4.3.8 has been released a few hours ago on February 25, 2014. 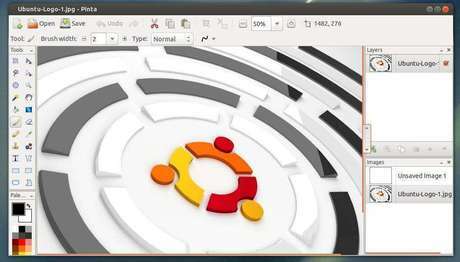 In this tutorial I’ll show you how to install or upgrade to Virtualbox 4.3.8 in Ubuntu. Method 1: The official download page provides the DEB packages. Double-click on the DEB and then you can click the install button in pop-up Ubuntu Software Center. The first command will add the virtualbox repository to your system, and the second will download and import the key. After that, you’re able to install or upgrade virtualbox-4.3 via your package manager or via the last 2 commands. This simple tutorial shows how to install the latest stable or development Pinta release in Ubuntu 14.04 Trusty Tahr. As you may know, Pinta is a free, open source drawing/editing program modeled after Paint.NET. Its goal is to provide users with a simple yet powerful way to draw and manipulate images on Linux, Mac, and Windows. Pinta is available in Ubuntu Software Center by default, but it’s a little old. Previous commands will add the official Pinta Stable PPA and install the latest build (so far it’s version 1.4) in your system. This will install Pinta 1.5 dev in your system from the Pinta Daily build PPA.